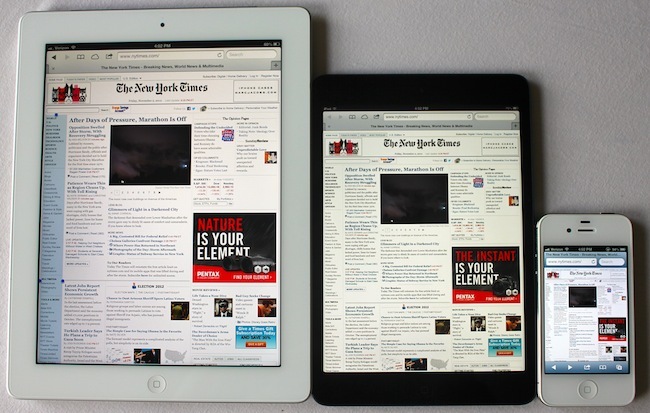 Apple is rumoured to be developing an “iPad Pro” tablet for an early-2014 announcement. The tablet will be a larger-screen variant of the original 9.8-inch iPad, and rumours indicate that the display will be a massive 12.9 inches across – almost two inches larger that 11.6-inch hybrids available today. The large-screen iPad is likely a move to counter Samsung’s slow but steady chipping of Apple’s previously unassailable market share in tablets. A Strategy Analytics analysis reported that last quarter alone Samsung’s tablet market share was only 6.9% away from Apple’s, the first time that Samsung’s market share difference was narrowed to a one-digit figure.